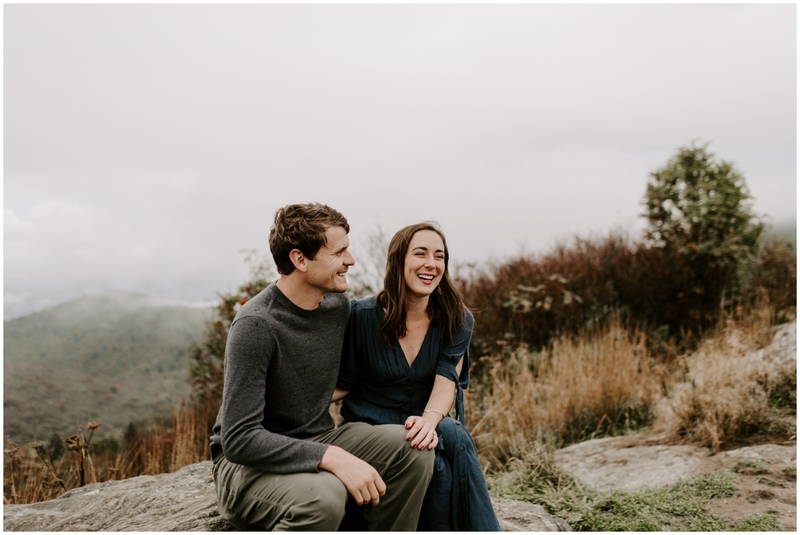 We met Casi + Hans and their sweet pup about 3 months ago at Black Bear coffee in Hendersonville. 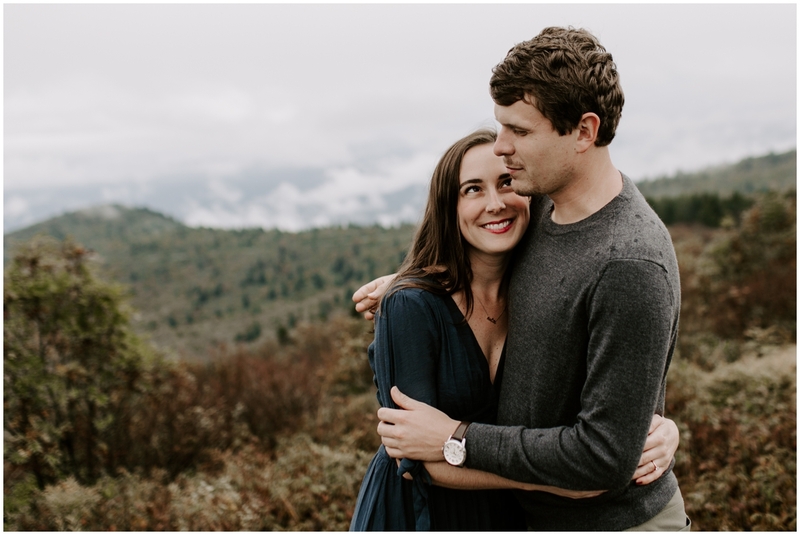 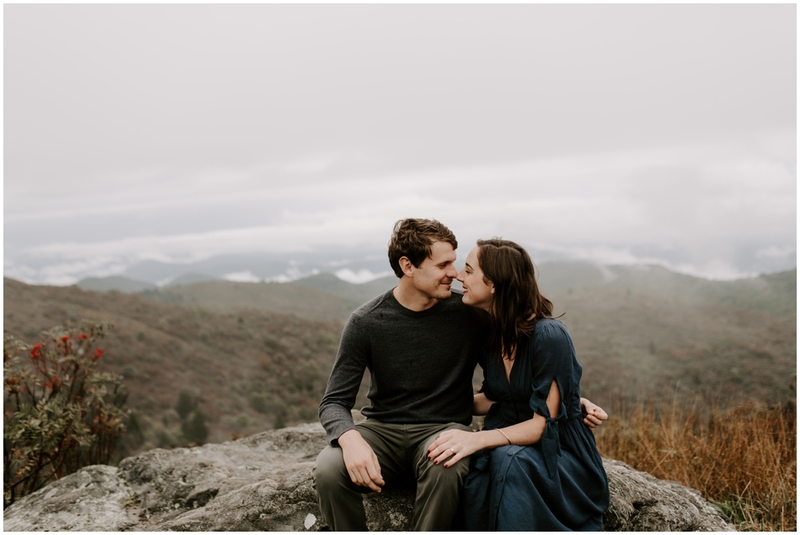 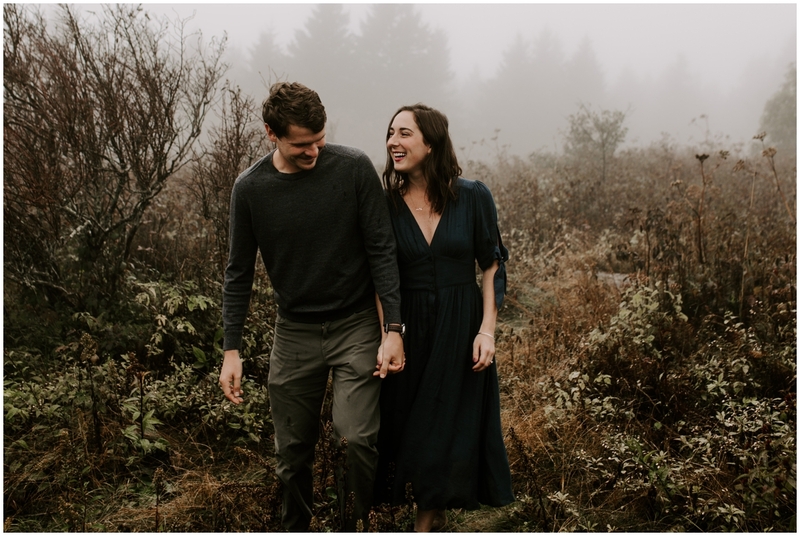 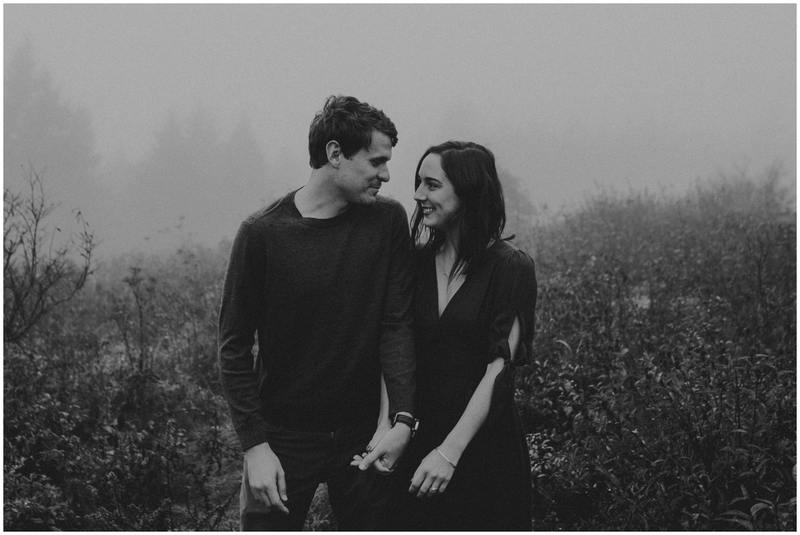 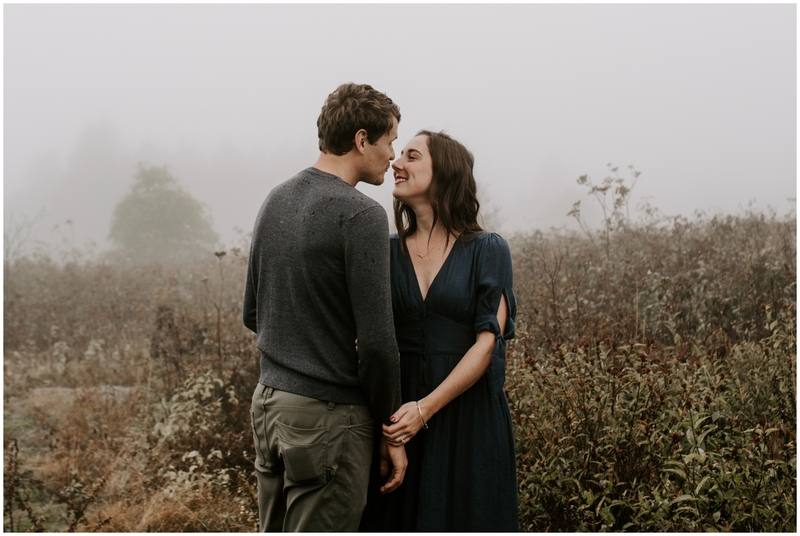 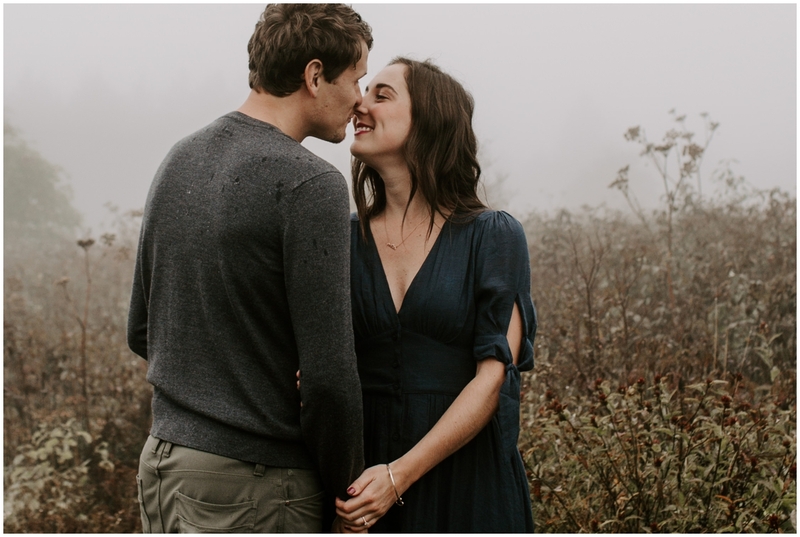 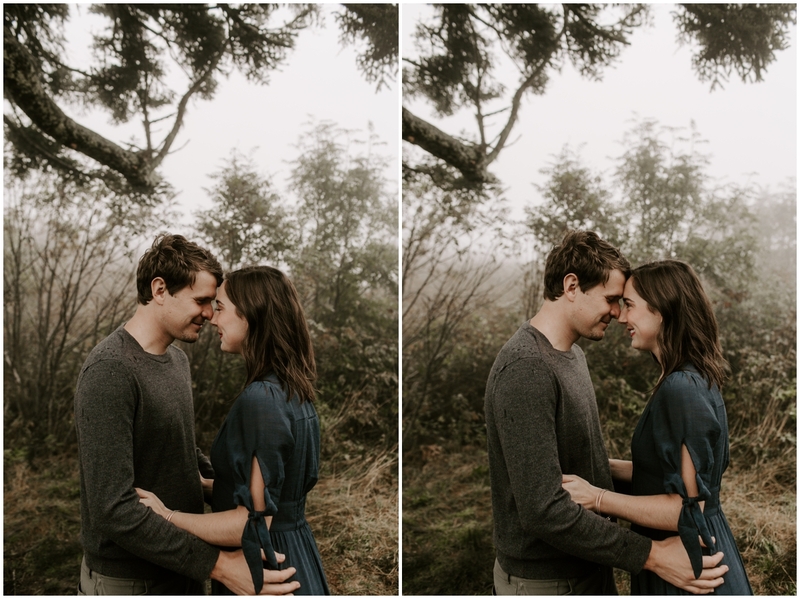 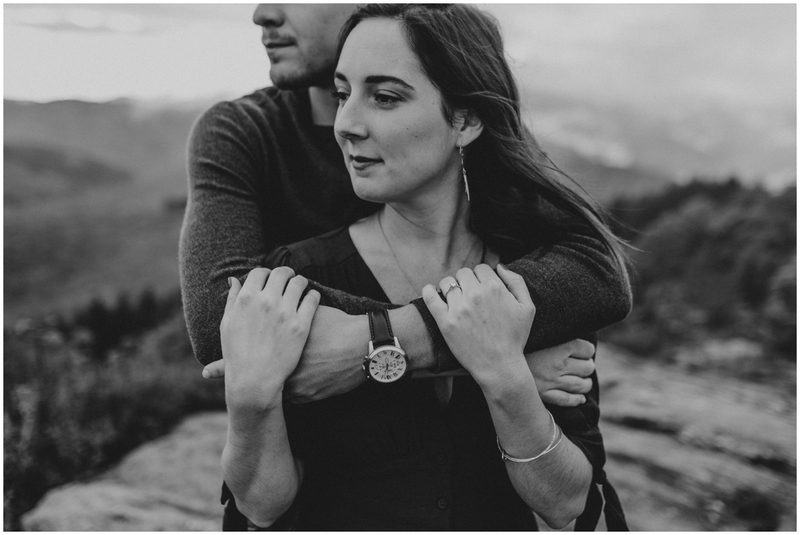 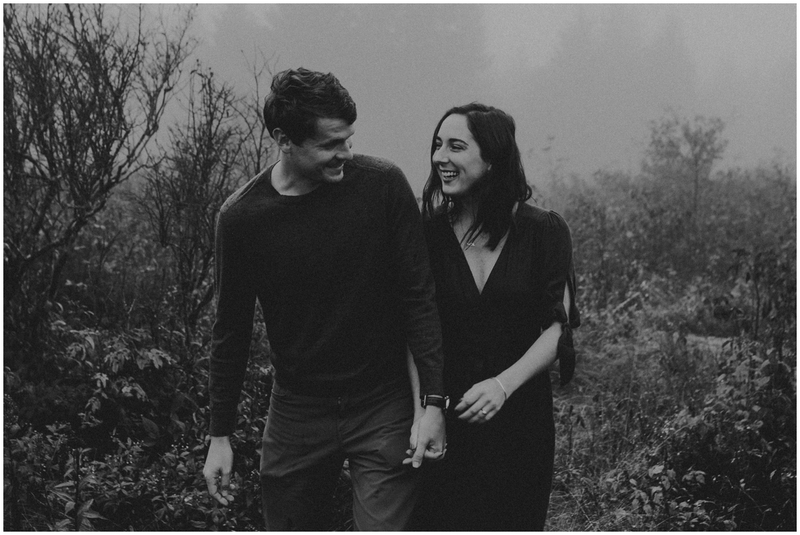 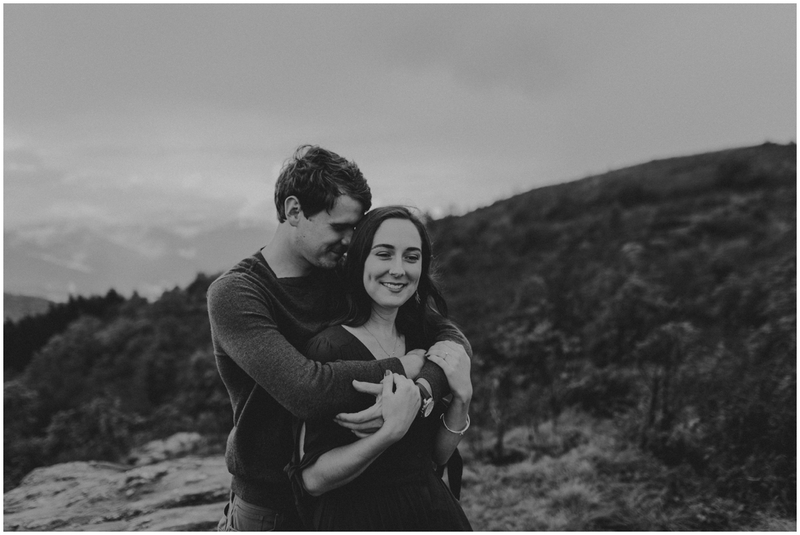 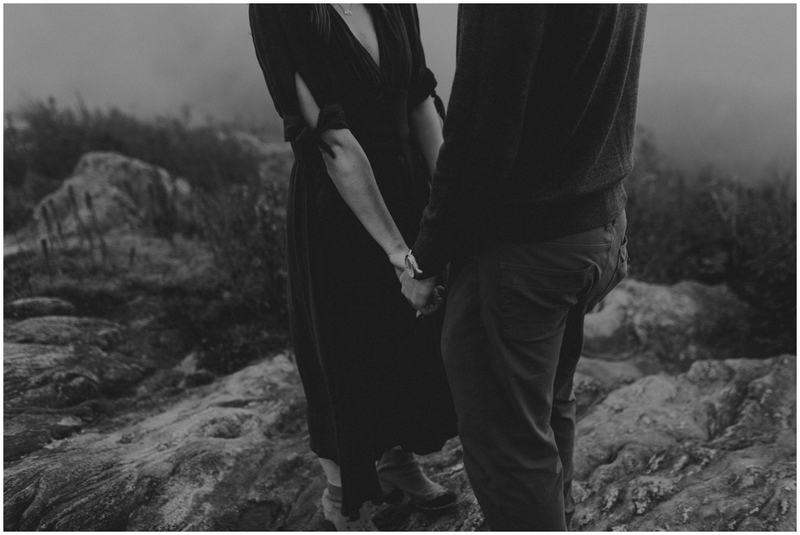 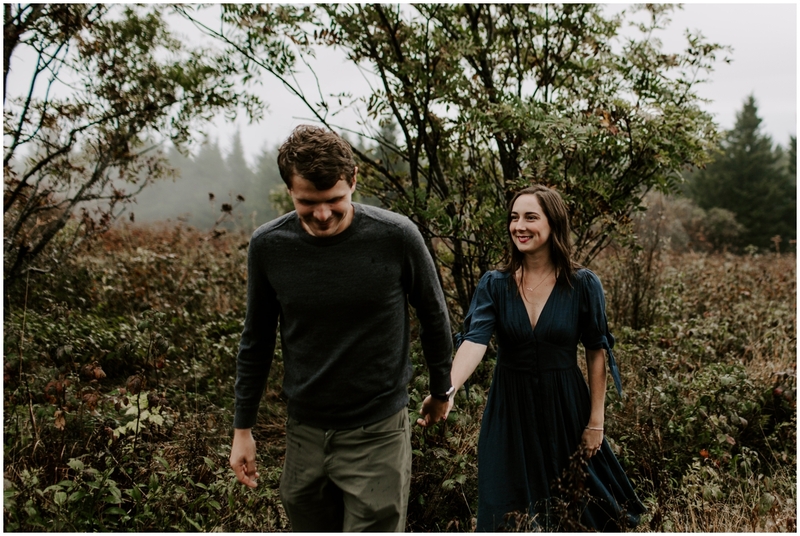 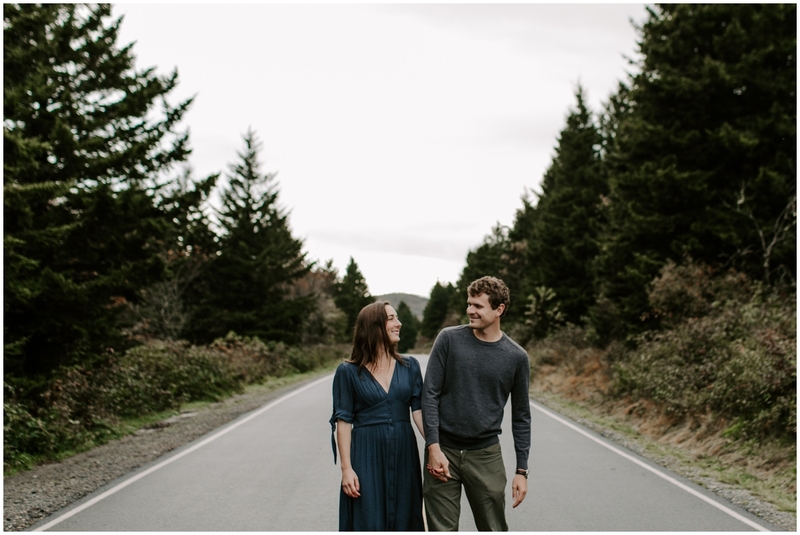 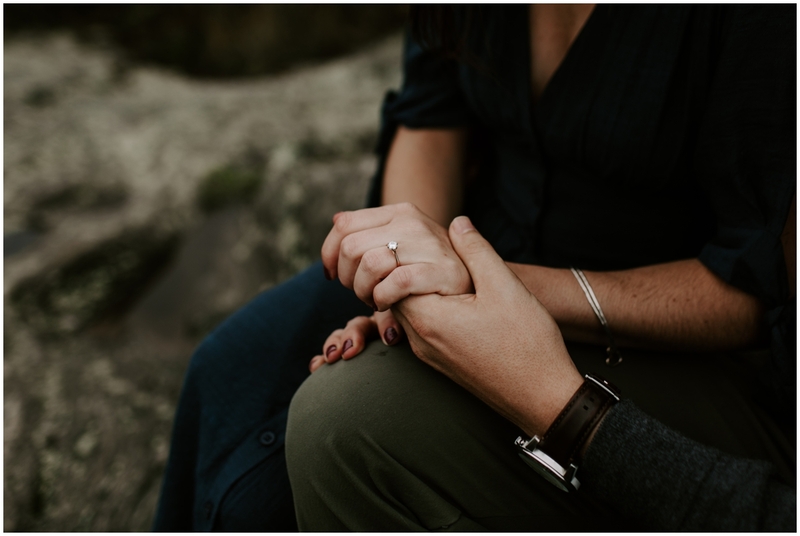 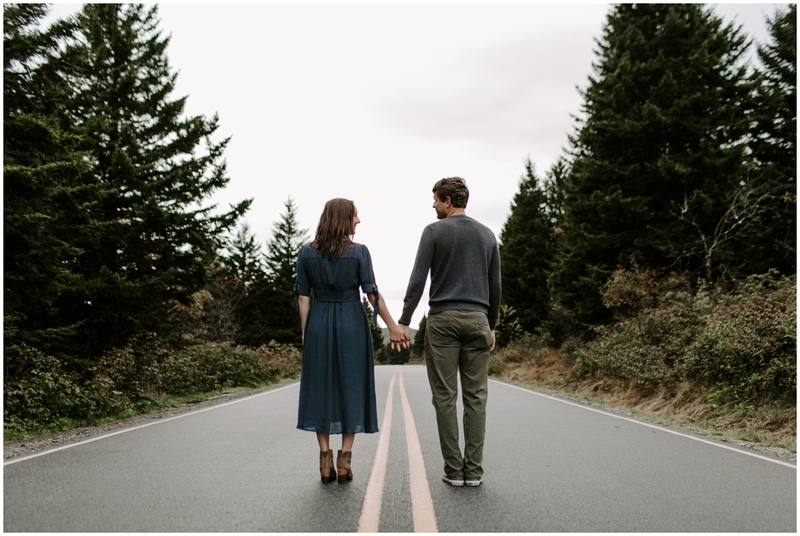 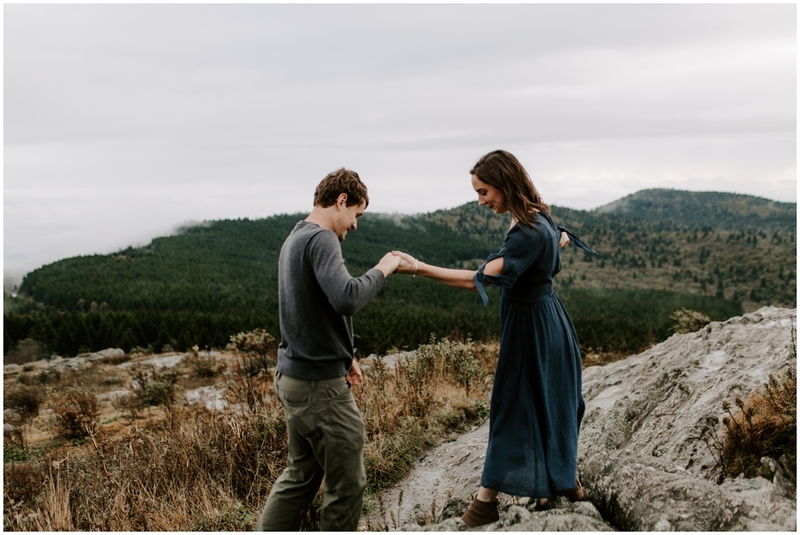 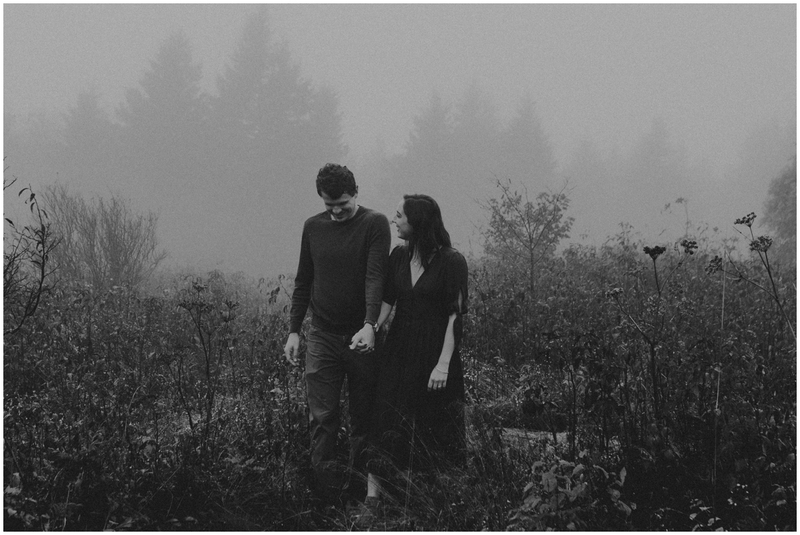 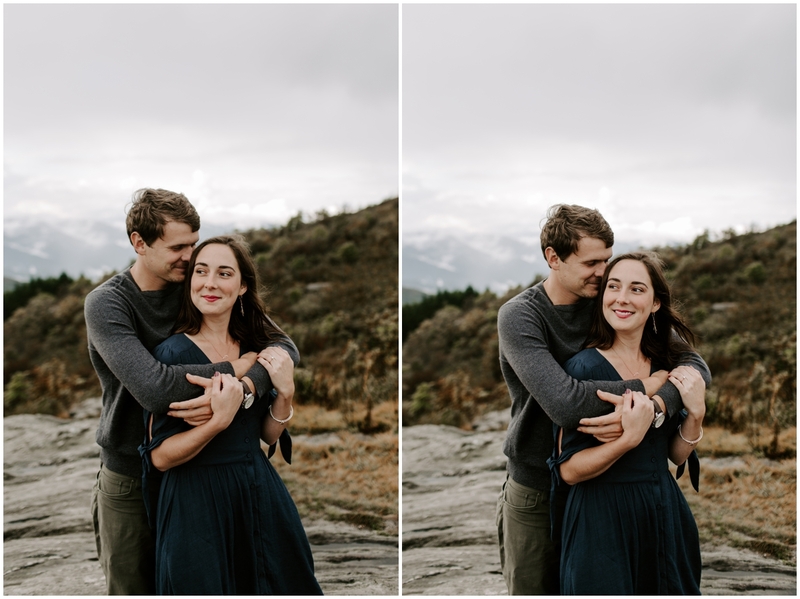 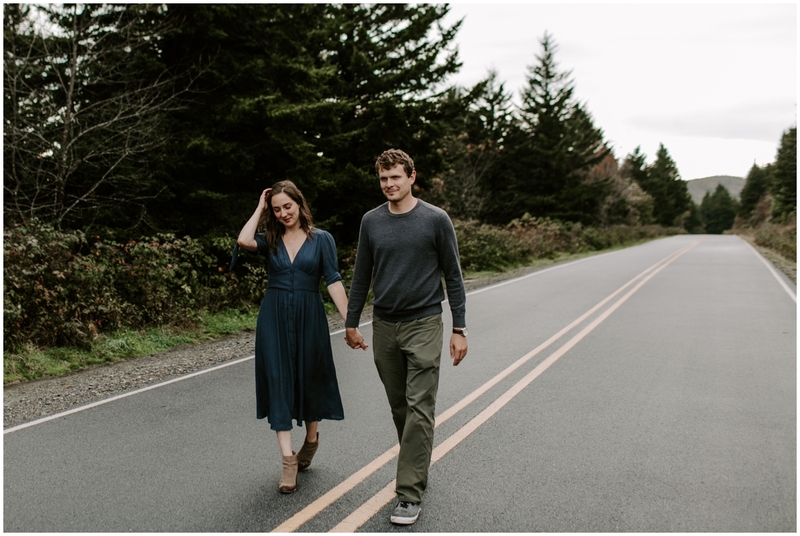 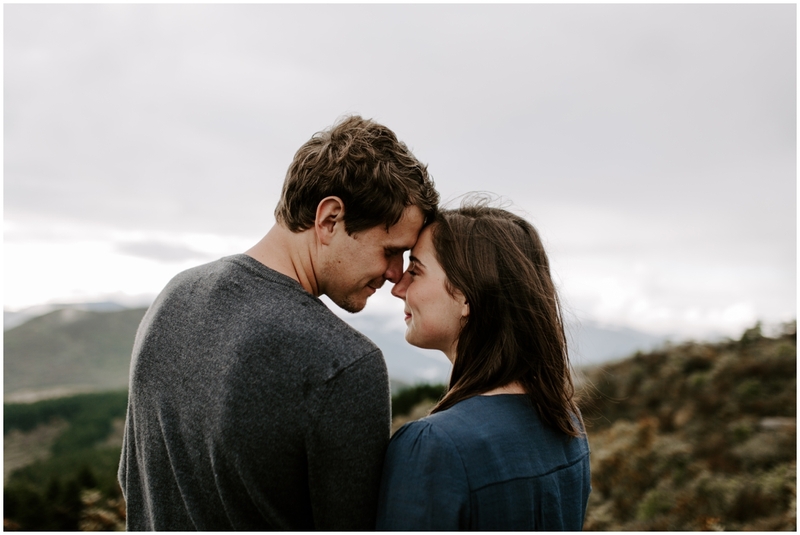 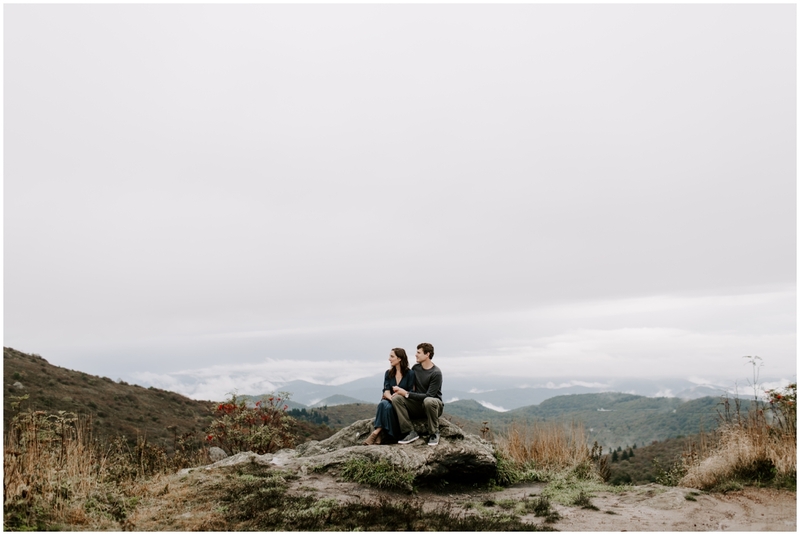 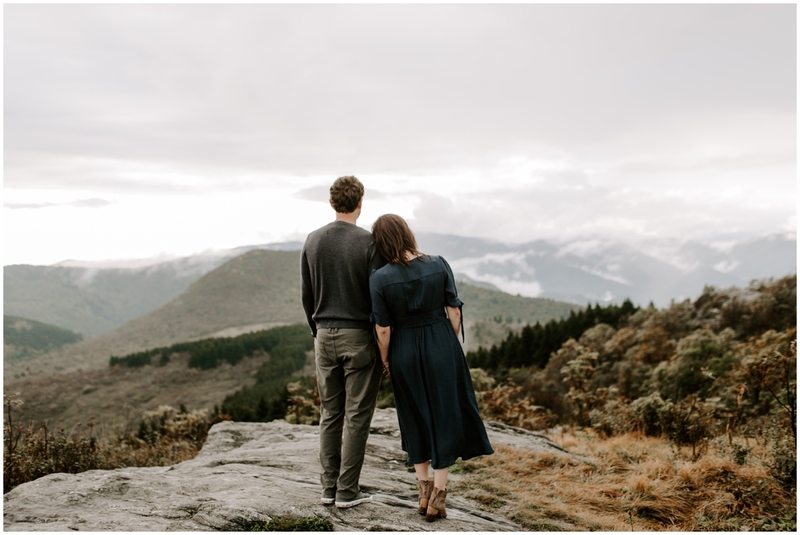 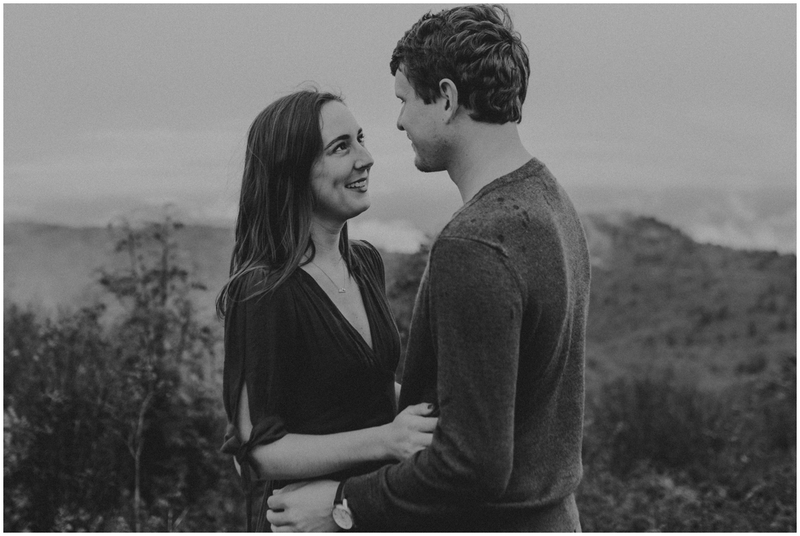 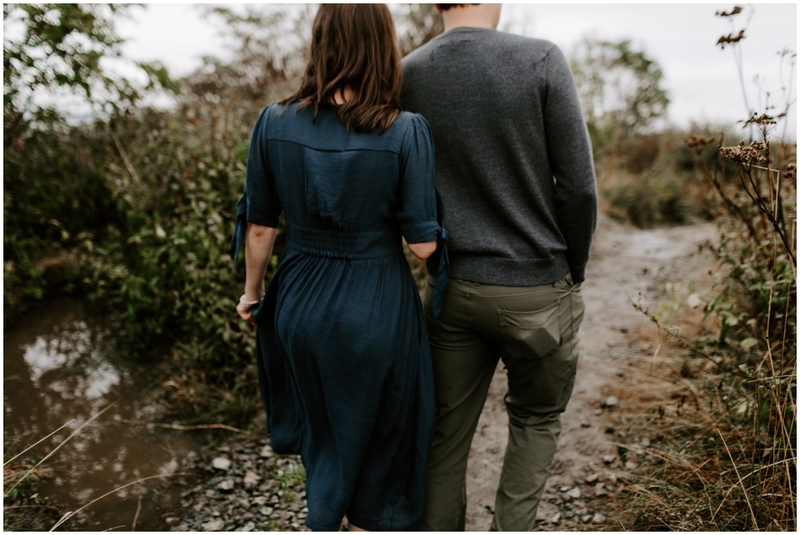 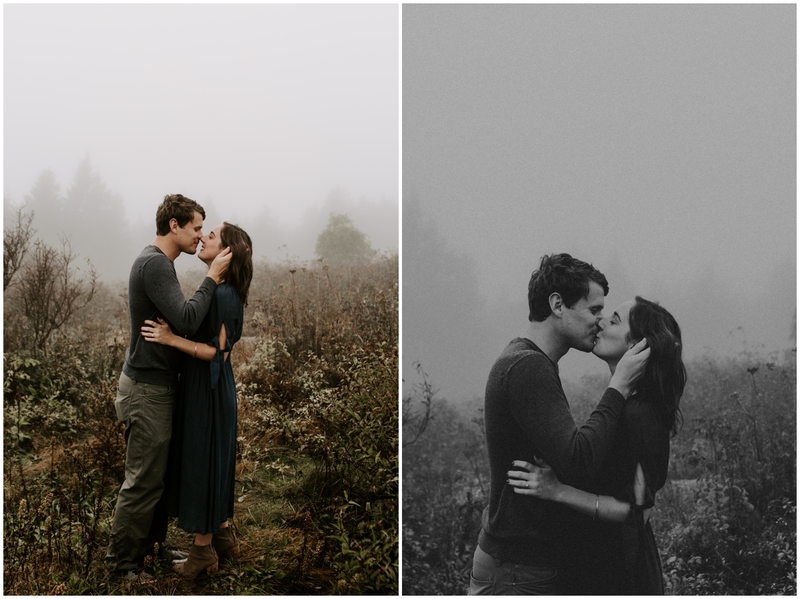 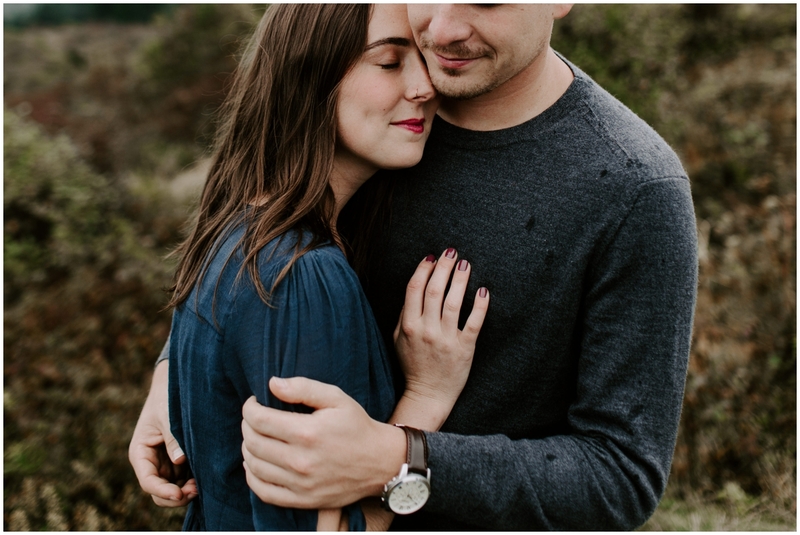 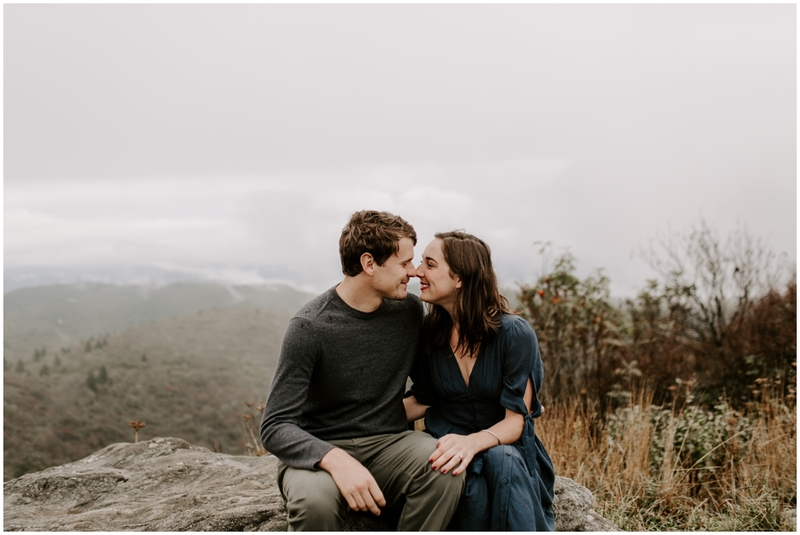 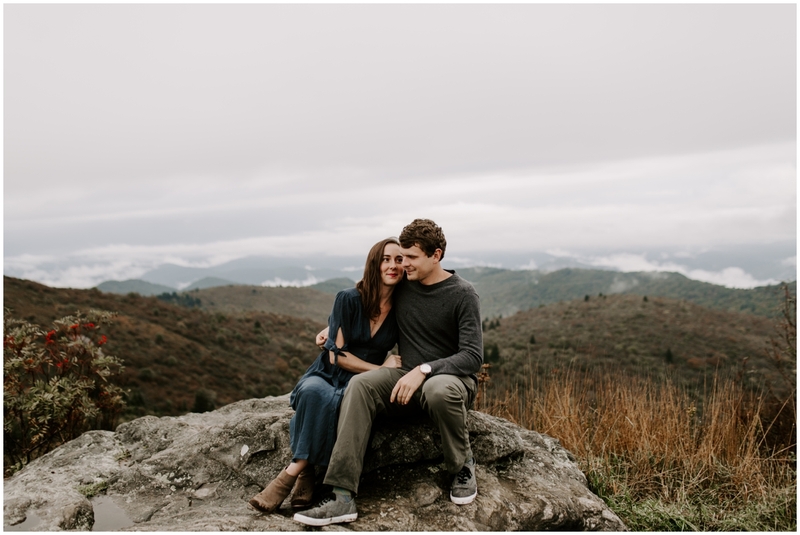 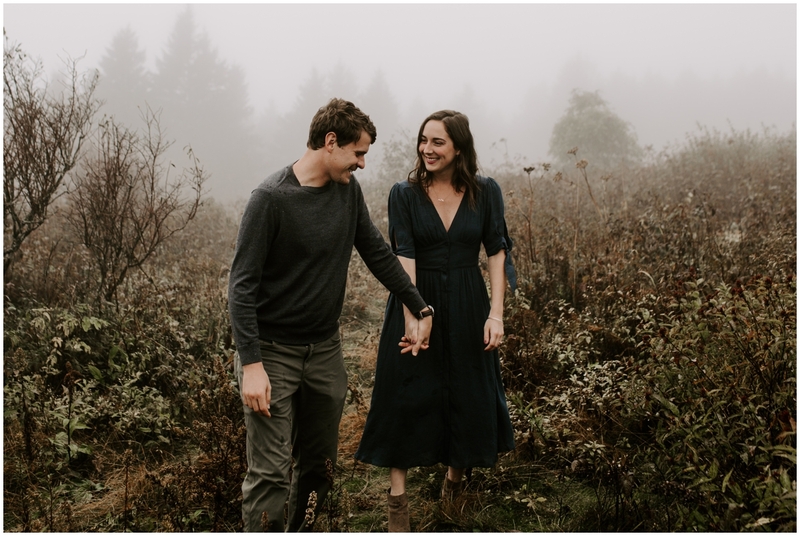 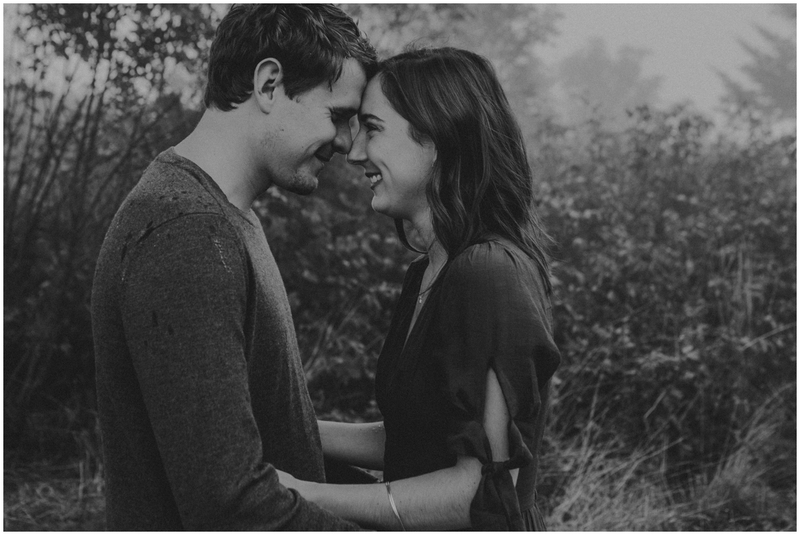 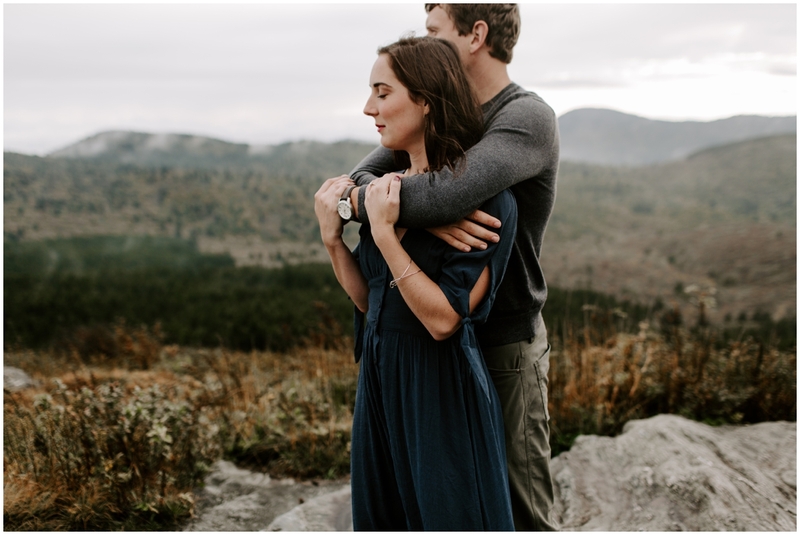 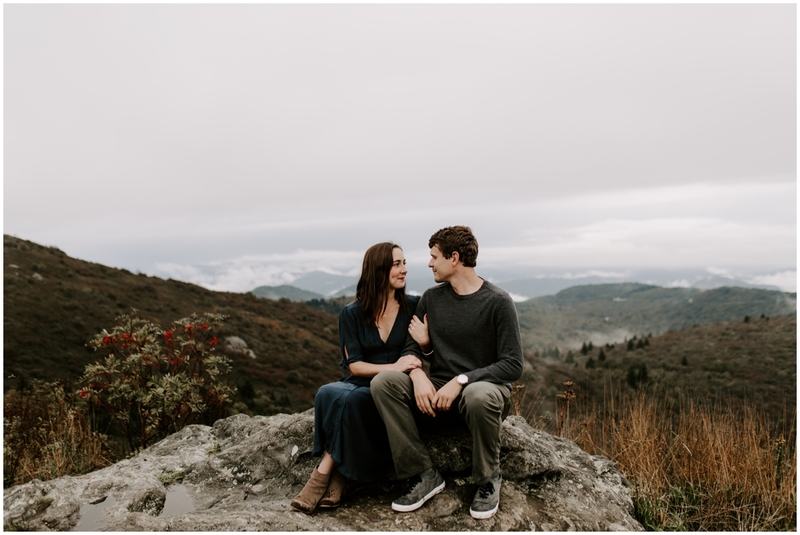 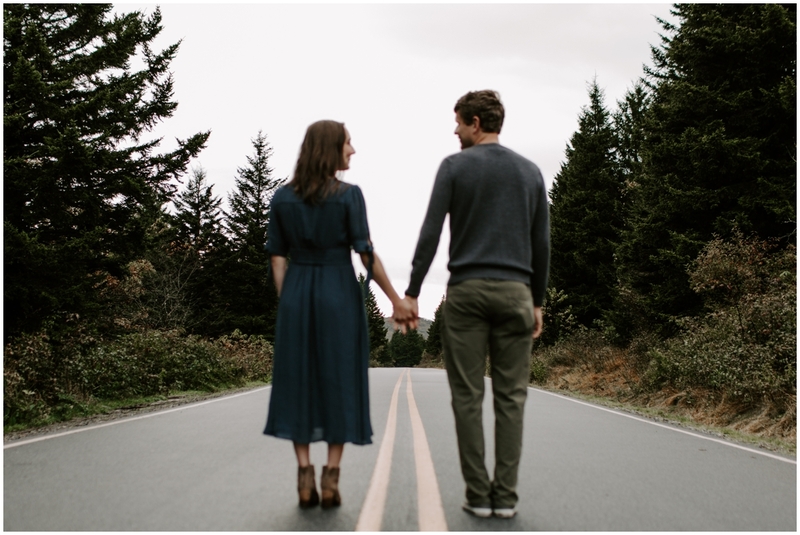 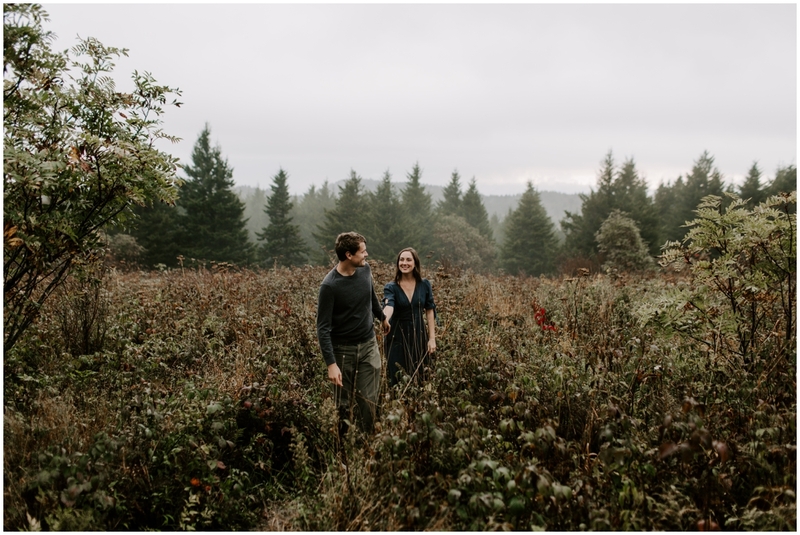 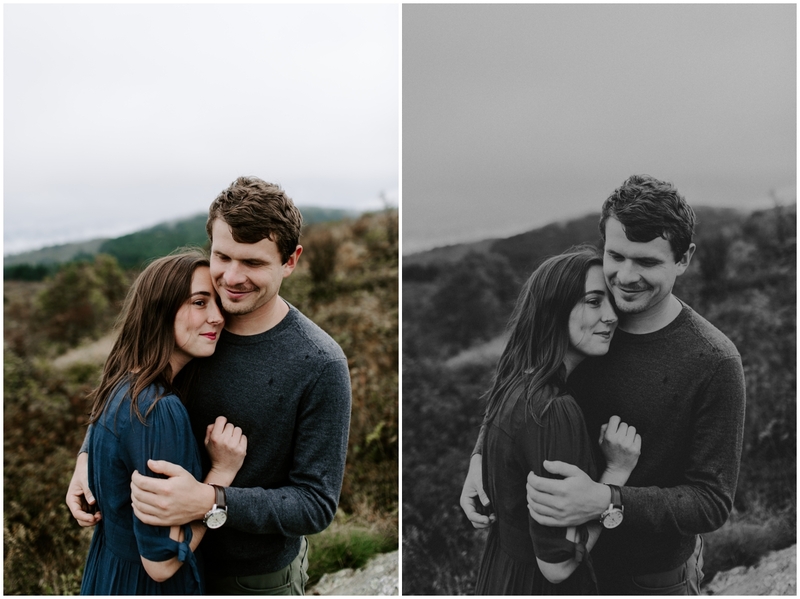 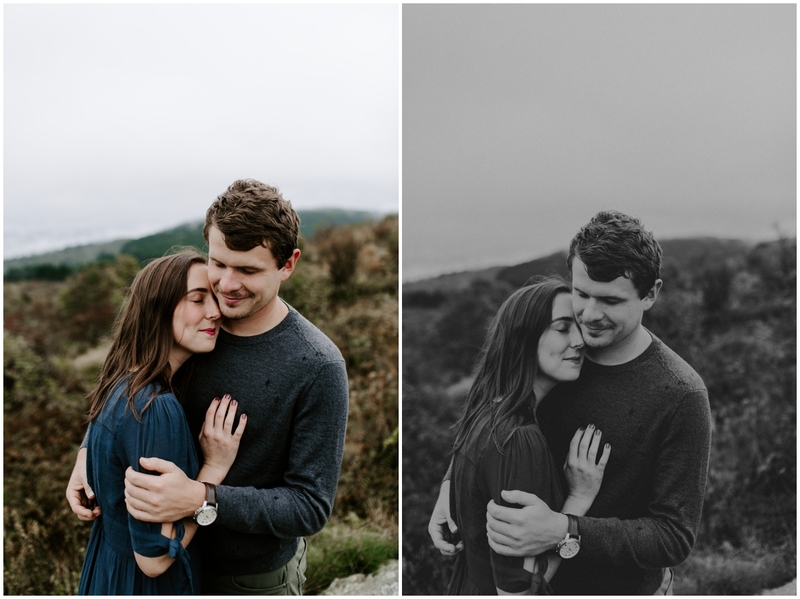 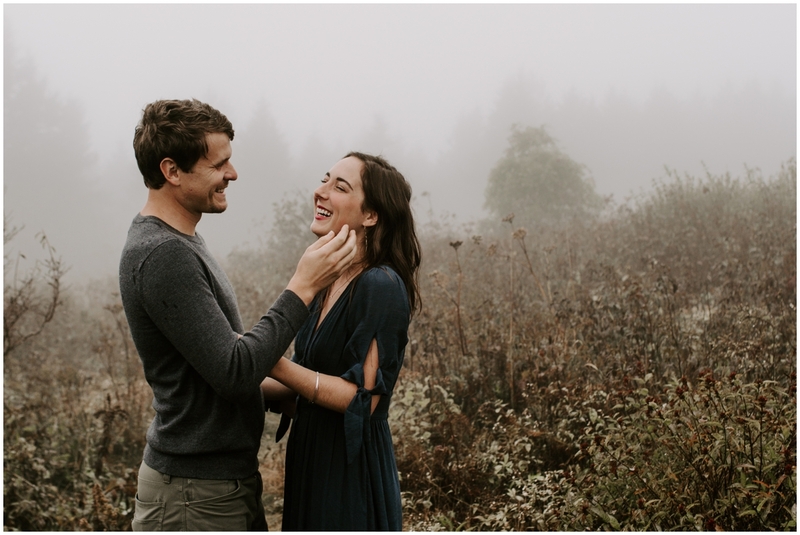 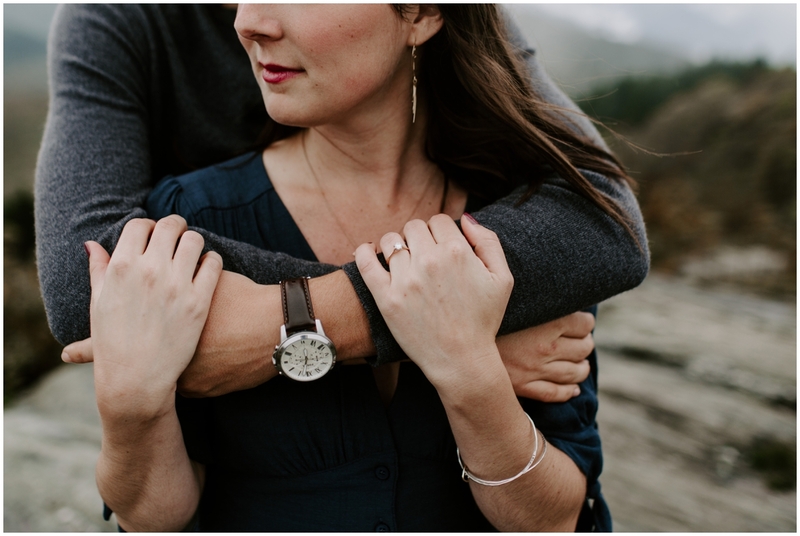 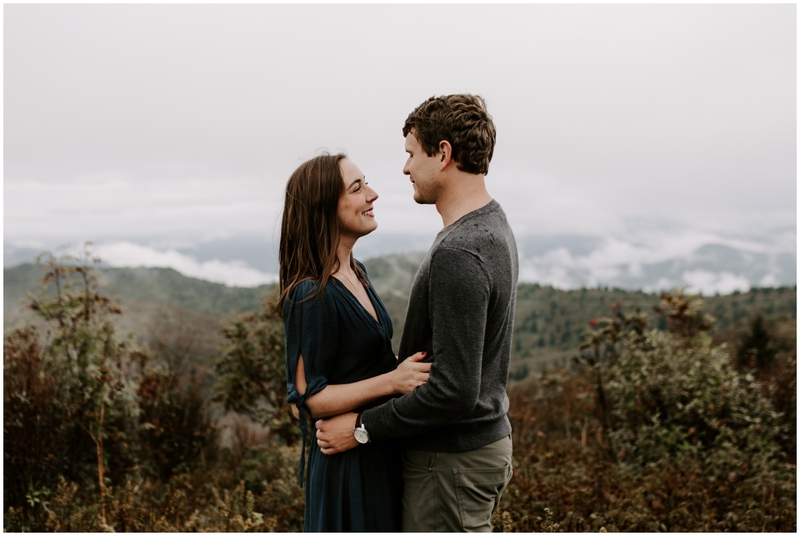 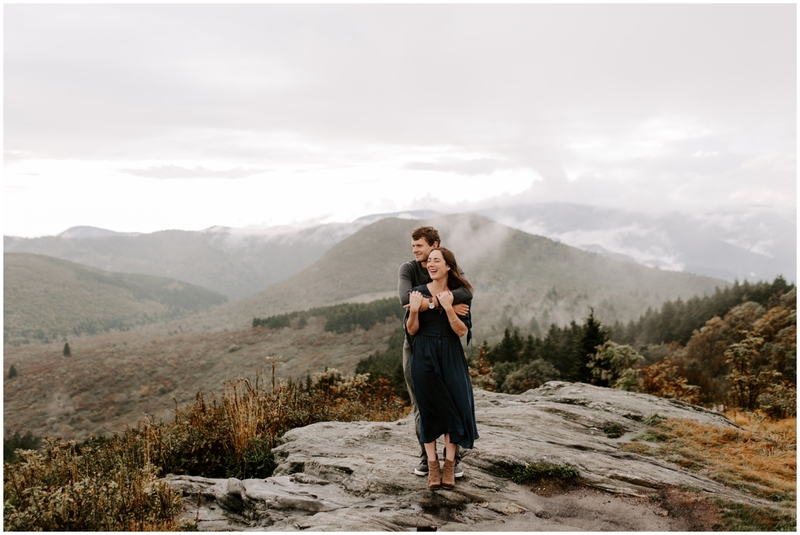 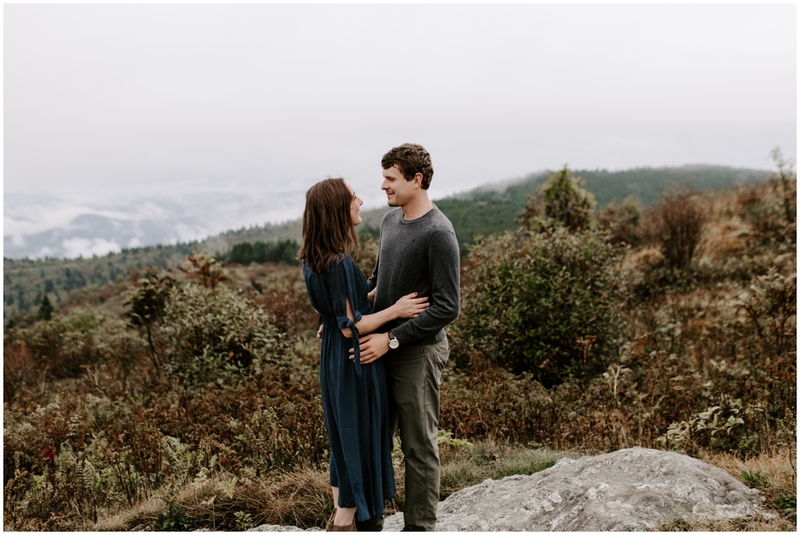 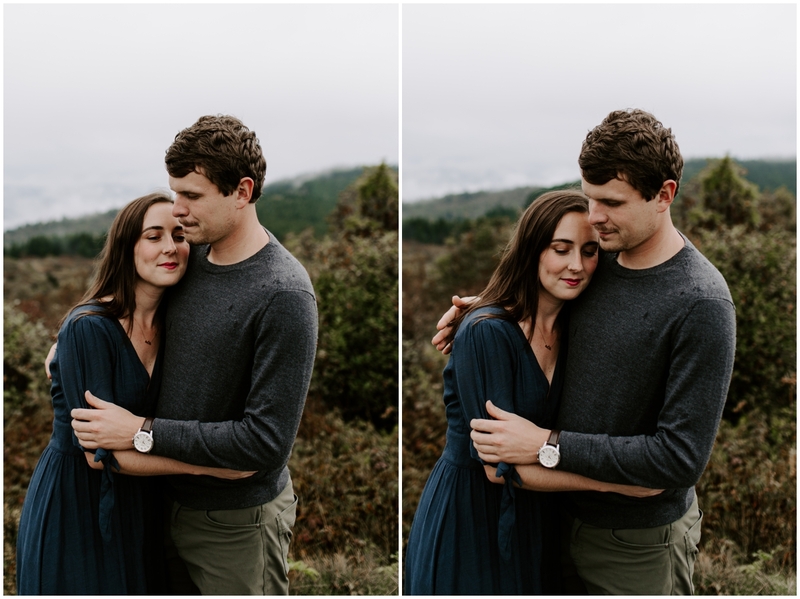 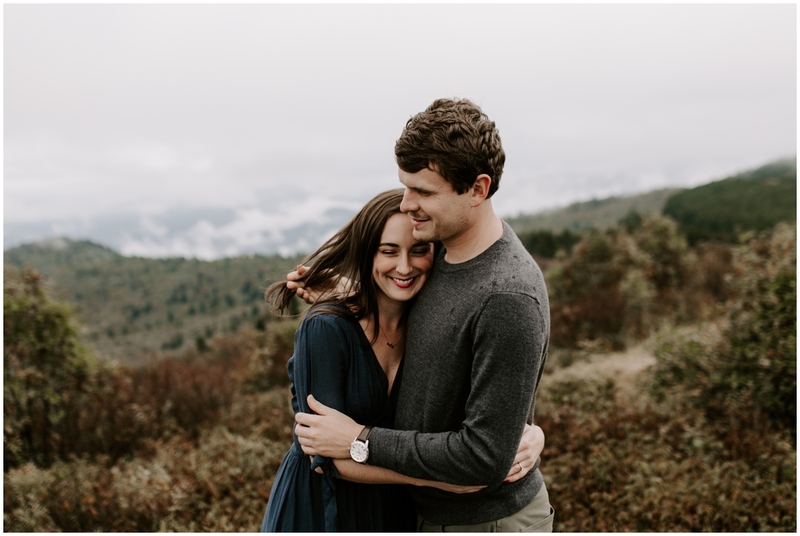 Casi + Hans spend a lot of time out hiking around the Asheville area, so we figured it only made sense to have their Asheville engagement session at Black Balsam Knob! 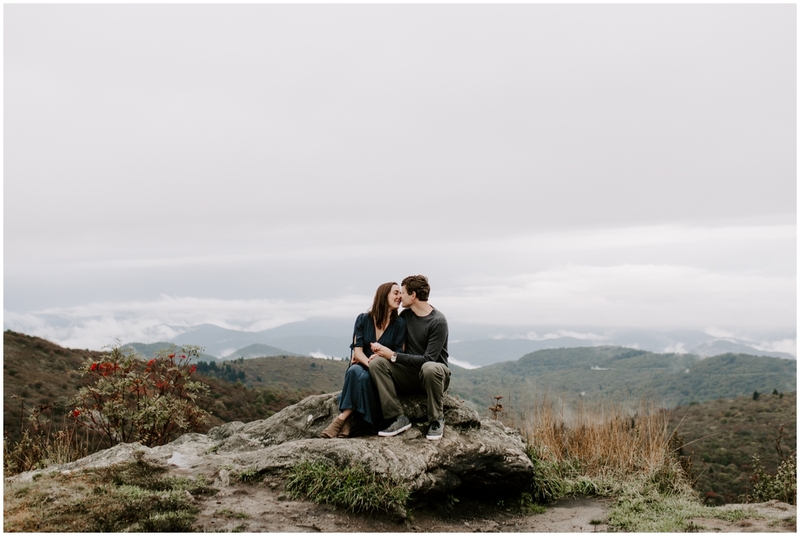 It’s hands down, one of the most beautiful places in Asheville! 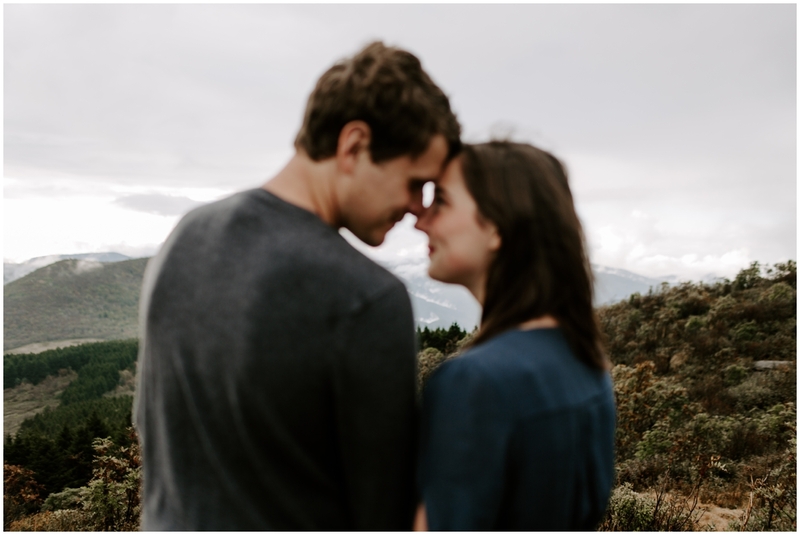 The day arrived, and it was less than perfect. 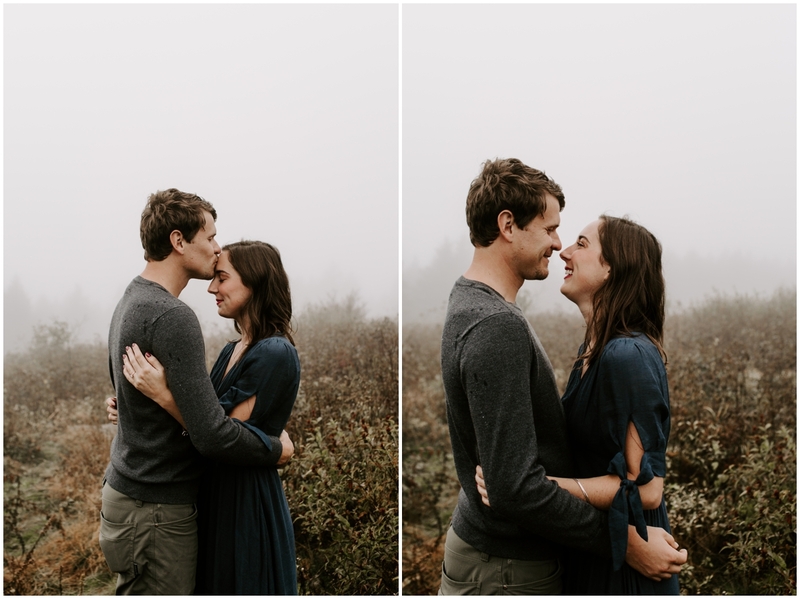 It was extremely rainy, windy and foggy! 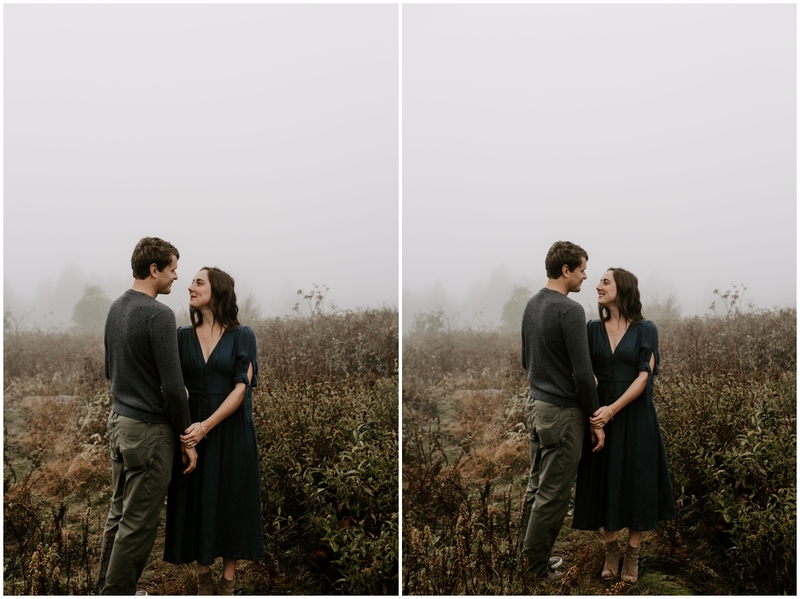 So foggy, that I couldn’t see the road in front of me. 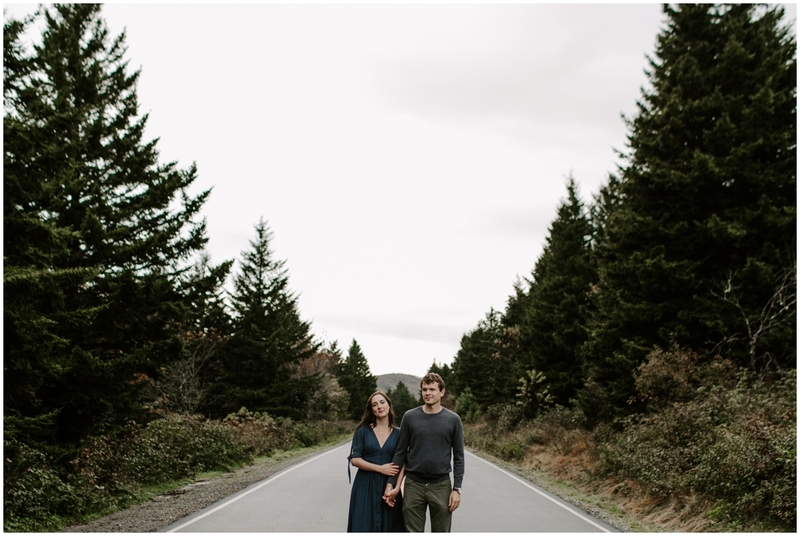 We went back and forth whether to switch locations or reschedule the session. 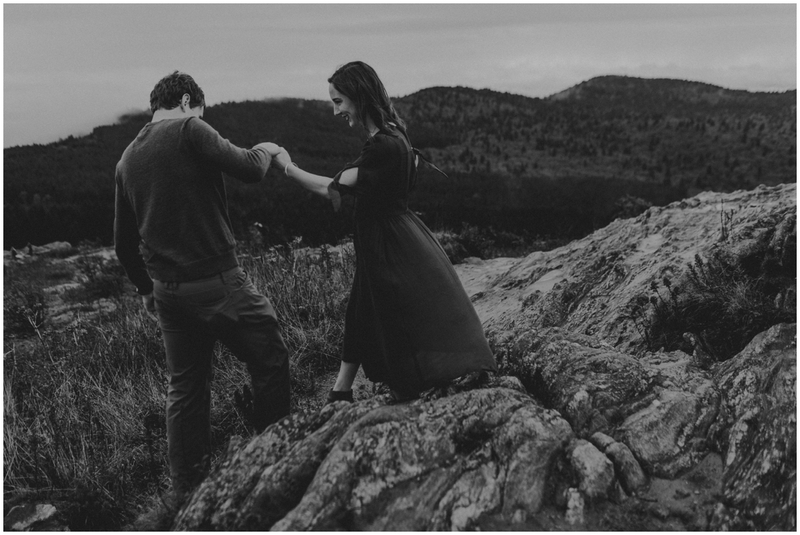 Then, we decided just to hike up and give it a chance. 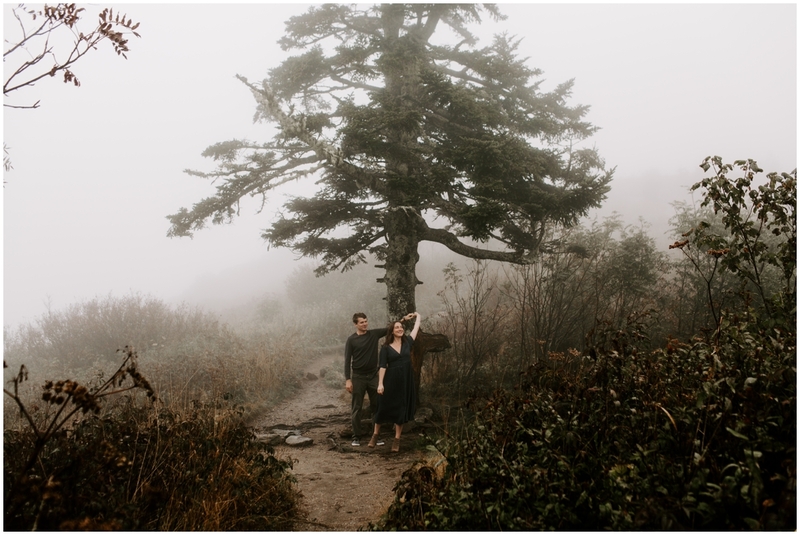 As we were hiking, you could watch the clouds and fog sweep in and out of the mountains. 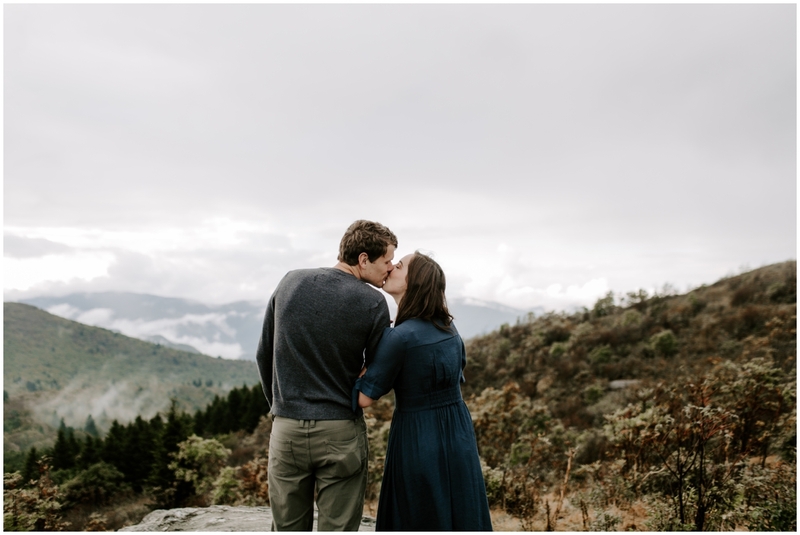 It was absolutely gorgeous to witness. 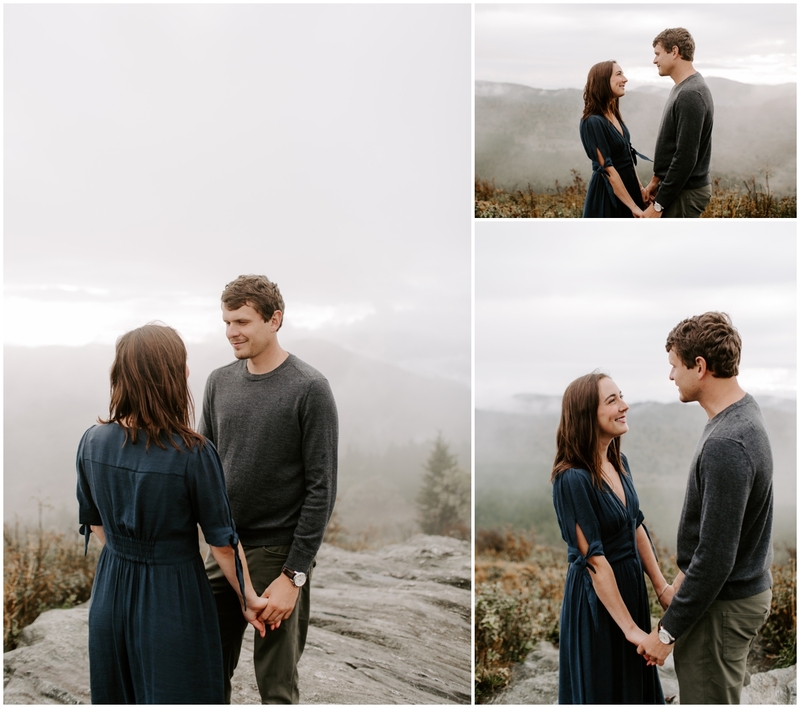 We ended up shooting some in the fog and then waited for our little pops of clear mountains. 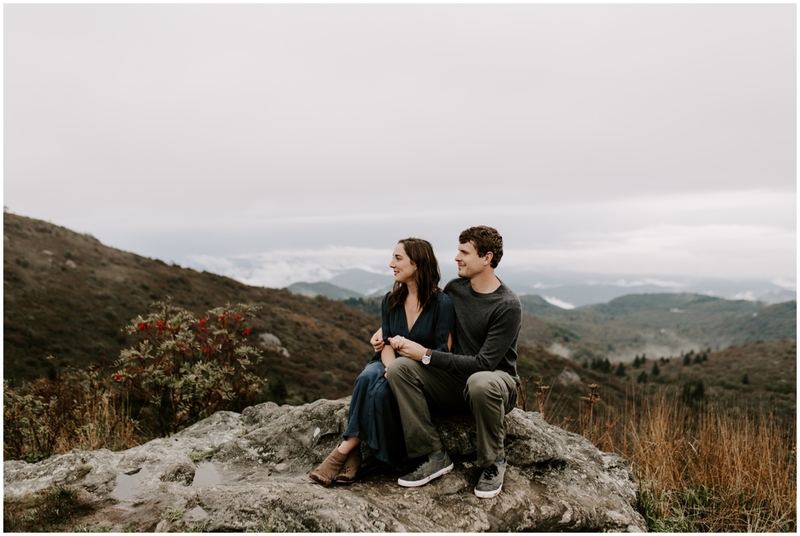 The mountains are forever a mystery. 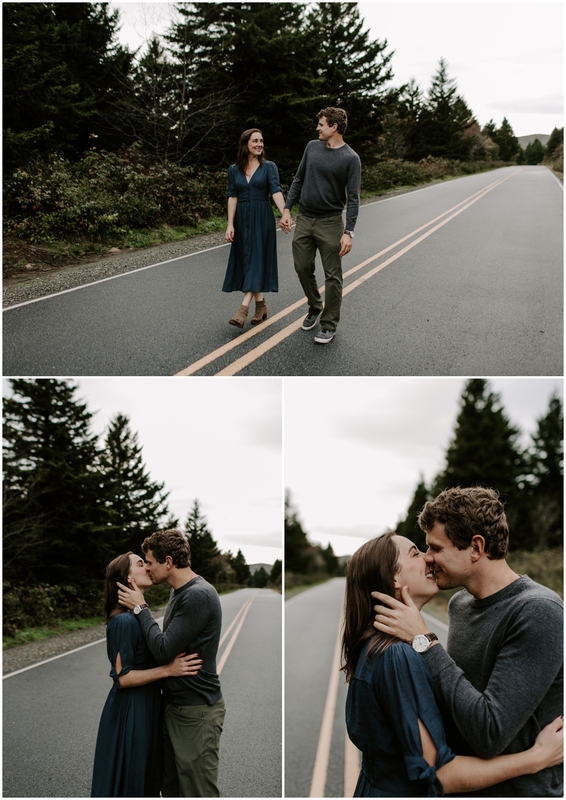 And forever gorgeous!